OpenMW [Official Site], the open source game engine for Morrowind has been updated again bringing in a few new features and plenty of bug fixes. Note: It requires the data files from Morrowind, which you can find on GOG. I tried it out personally some time ago and I was extremely impressed, it was very playable and really did feel good. This latest release continues to polish up the overall experience and implement a few new features. It's quite striking just how many bugs they were able to squash with this release! In terms of features, the AI will now resurface from water to breathe, rain and snow will create water ripples (which looks very cool), keyboard navigation for menus and more. 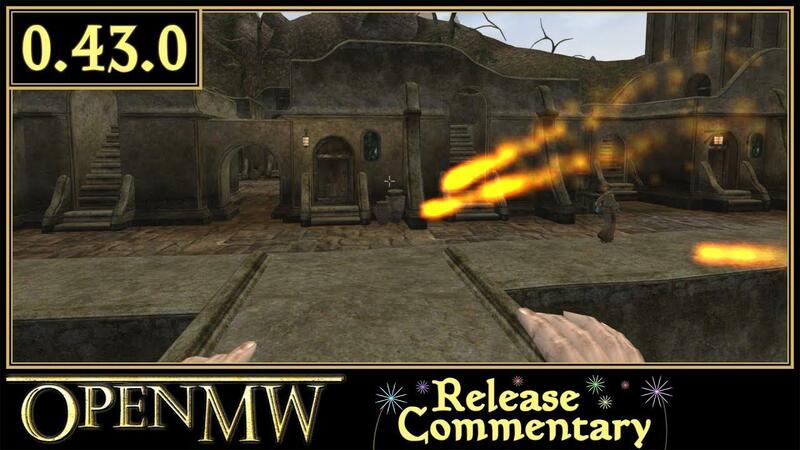 They've also done more work to OpenMW-CS, their content editing tool. Find the full release notes in their release announcement. For those interested, there's also the TES3MP project, which is a fork of OpenMW for multiplayer. It may merge with OpenMW in future, to allow once place for both singleplayer and multiplayer. Same for GemRB, the free software game engine for all the Infinity Engine titles: Baldur's Gate series, Planescape: Torment, and Icewind Dale series. They finally released version 0.8.5 after almost two years. Lightkey Same for GemRB, the free software game engine for all the Infinity Engine titles: Baldur's Gate series, Planescape: Torment, and Icewind Dale series. While we seem to be on that topic already: REGoth also makes progress but I haven't tried it yet. Edit: They even have a release commentary for 0.4 o.O I've gotta watch it later. crt0mega While we seem to be on that topic already: REGoth also makes progress but I haven't tried it yet. Nice. Have to try that. Wonder if mods work . I recall Gothic 2 having a mod after the hero leaves for the mainland where you play a slave girl from the former colony prison and the orcs and paladins already duked it out and left corpses behind on the Valley Pass. Wow! That's a nice list of features and bug fixes! I may have to try it out again! Going to note that there's now a flatpak package up on flathub for OpenMW as well, so if you prefer that type of an install then it's also an option. razing32 Nice. Have to try that. Is it a coincidence that your profile picture looks like Xardas? Very similar at least. Just had a quick look at the "release commentary" and closed it after some minutes: Well demonstrating FREE, LIBRE Software with proprietary software (Excel, Windows) is somewhat strange.